Ever since 2008, when it opened its doors in São Paulo, in a manor listed by the historic heritage, Galeria Pontes discloses the richness of Brazilian imagery, showing the best of the great masters of our popular art. Poteiro, GTO, Antonio Julião, Manoel Eudócio, Tota, Waldomiro de Deus, Maurino de Araujo, Bajado, Adir Sodré, Miguel dos Santos, Sil, Marinaldo… Some are authors of popular art in its more traditional sense; others belong to an art considered more erudite. 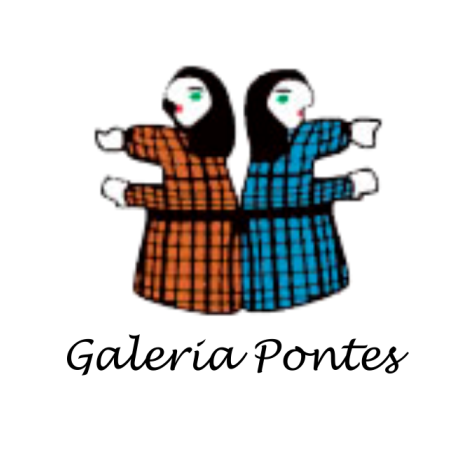 This is the focus that stimulates Edna Matosinho de Pontes, who spearheads Galeria Pontes. This mission was born of an unprogrammed route in her personal path. “I am a psychologist who has acted as a qualitative marketing researcher and also as a psychoanalyst. When I decided to work with something that really afforded me a lot of pleasure, opening a popular art gallery emerged as a natural choice, for I had long been interested in art. I kept purchasing paintings and sculptures at a pace set by what I liked and could afford. I started acquiring popular art back in the seventies, when the sculptures of Conceição dos Bugres, an already deceased artist from Mato Grosso, were exhibited in the São Paulo Bienal, through the initiative of Humberto Espíndola. And one day I noticed I had become an art collector” says Edna. Also in love with travelling, she constantly visited artists all over Brasil. She met Samico in Olinda, Mestre Nuca in Tracunhanhém, Manuel Eudócio in Caruaru, J. Borges in Bezerros, Miguel dos Santos in João Pessoa, Mestre Cardoso in Belém and Jotacê in Chapada Diamantina. “When I decided to open the gallery, I started to travel more systematically. However I had no experience on what was or not sellable, I was guided by what I liked and by the artists I admired, counting also on the help of a great friend from this area, Lurdinha Vasconcelos, from Sobrado 7, inOlinda” says she. One of the stars in the gallery’s collection, not only born from her passion but especially from Edna’s intense research on his works, is Gilvan Samico, from Pernambuco – a master of printmaking and an artist of impressive sophistication, especially for expressing the popular ballads of the Northeast. “In truth, Samico is erudite. He seeks inspiration in popular artists and in their imagination. I include him for his marked Brazilian trait” justifies Edna, without forgetting to mention other names that appear in her collection as first magnitude root artists: Dalton Costa, who held an individual show at Pontes in 2009; R. Godá from Goiás, the terra cotta artists Miguel dos Santos and Gina Dantas, and Elieni Tenório, an artist from Amapá, just to mention a few.